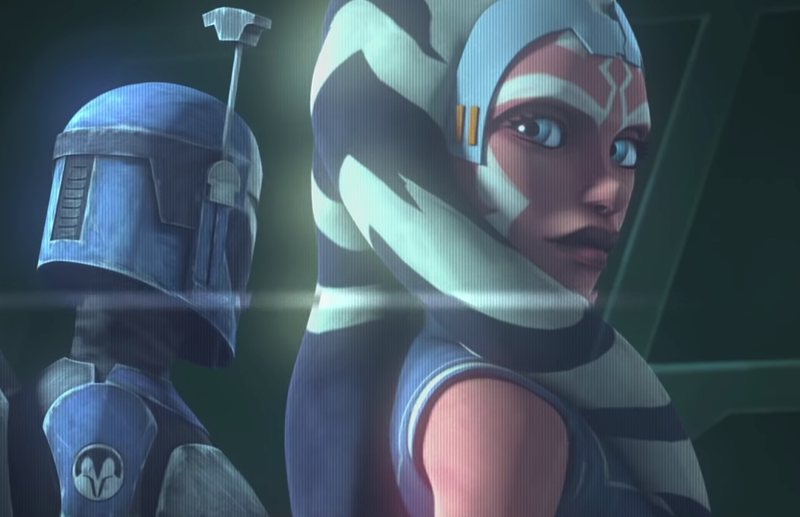 Over the weekend, Lucasfilm shocked fans around the globe with the announcement that they were reviving the beloved and much-missed, Emmy award winning animated series Star Wars: The Clone Wars for a twelve episode run on Disney's upcoming direct to consumer streaming service. The announcement was made during a panel at San Diego Comic Con. The reaction in the room was massive, and the online reaction matched, if not exceeded, that. The Twitter account @TwitterTV took a look at all the TV related tweets over the weekend and revealed that most tweeted about show during the convention was The Clone Wars! Second place was Dr Who, which previewed it's upcoming eleventh season which will feature Jodie Whitaker taking on the title role. Third place went to The Walking Dead, with Voltoron, Shadow Hunters, Arrow, Brooklyn Nine Nine, Wynonna Earp, Supergirl, and The Flash rounding out the top ten. The Clone Wars debuted with a theatrical release in 2008 and then ran for five seasons on Cartoon until 2013, when it was announced that the series would be winding down. A partial sixth season was released on Netflix in 2014, which seemingly wrapped up the series for good. Since then, eight unproduced episodes have been released in story reel format, while another four were adapted into a comic book series, and eight more into a novel. The response to the series return has been huge, as the Twitter stats demonstrate, confirming that Kathleen Kennedy, Dave Filoni, and everyone at Lucasfilm and Disney definitely made the right decision when it comes to pleasing fans and creating buzz about the new Disney streaming service!